A second home purchase is a big deal. A furnished, comfy, home away from home in the likes of Lake Tahoe or Daytona Beach comes with spectacular scenery, an even better climate and a price tag. But vacation homes don't have to exist only in your dreams. Josh Miszk Vice President of Investments, Invisor Investment Management Inc., an online financial advisor in Canada that provides personalized investment management services. We've all felt it: the urge to buy a property in the sun. It usually manifests right after a vacation, once you leave an island paradise wanting to go back for more. A second home purchase is a big deal. A furnished, comfy, home away from home in the likes of Lake Tahoe or Daytona Beach comes with spectacular scenery, an even better climate and a price tag. But vacation homes don't have to exist only in your dreams. Are you ready for the investment? Here are seven factors to consider when buying a vacation home. Before you start shopping, carefully consider your goal. Are you looking for somewhere the whole family can escape to with fun for all ages? Somewhere quiet and romantic, just for adults? Somewhere that appeals to renters, with multiple bedrooms? Somewhere close enough you can drive if you don't feel like flying? When buying a vacation home, determine what's on your checklist: proximity to the beach, number of bedrooms, condo versus home with backyard, etc. Make sure your desire to purchase a vacation home isn't just a fad. Wait it out -- if you still want it a couple of months or even a year down the road and you have considered the rest of the factors below, it may be time to seriously consider making the investment and finally buying the vacation home of your dreams. Climate is usually at the top of mind when considering a home, along with the scenery, atmosphere and location. Snowbirds want to escape the cold winters and venture south for sun and sand. Are you looking for something in a peaceful neighbourhood by the beach or in a glitzy, lively part of town? As appealing as having your own vacation home may be, carefully think about whether you want to visit the same place for the next ten years or if you'll get bored. If you still want to travel all over the world, perhaps settling down in one place isn't for you. Consider renting a home and vacationing there first, even multiple times, before you commit to buying a vacation home of your own. If you've fallen in love with a neighbourhood and can see yourself spending every year there, maybe you've found a winner. If you still have the travel bug to explore other places, perhaps renting is best for you. Once you have a place in mind, do the math. Decide on how many weeks you'll spend at the vacation home and multiply it by the rate it would cost to rent a similar home in a similar locale. Figure out how many times it will take for you to break even, compared to if you were paying for a hotel or renting a vacation home. 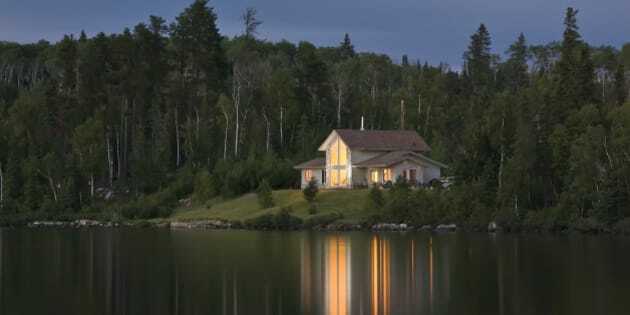 Buying a vacation home is a big investment, so you may want to consider co-ownership. Find other interested parties that can split the costs with you and you can take turns visiting your vacation home. Whether it's your sibling, your friend or even a group of people, iron out the questions first: What happens if one party uses it more than the other? How are the responsibilities divided? What if one party wants to sell? The same way you would decide if you're financially prepared for a home purchase, budgeting for a vacation home is a process that should take place early on. Account for the mortgage payments, property taxes, insurance, and hydro and electricity bills, but also payments that may be overlooked like landscaping, an alarm system and someone to look after the place while you're gone. Also factor in repairs, cleaning services and other costs that could come with renting it out if you decide to do so. Consider how this purchase will affect your other financial plans like your child's education or retirement. Keep in mind, you may still need to pay for flights, depending on where your vacation home is. If your budget is just too tight, this may be a luxury you can not afford at the moment. Make back some of the cash you invested into your home by renting it out to people you know, or even strangers, for their family vacations. Don't overestimate the price you will get from a week of renting, or how many weeks you'll be able to fill. Consult the area's rental agency or similar organization for estimates on the average rental price. Sites like AirBnB can help you find short-term renters, or you may prefer to find long-term, reliable renters to build a relationship with. Renting your vacation home comes with more responsibility and added costs to ensure it's always in great condition for your guests. Remember, the peak times you'll be able to easily rent out your property to others are probably the same times you'll want to use it yourself. A vacation home is not a purchase you want to rush. Take your time and invest in careful research. Understand that your taxes may be more than your primary home location, and, if you're renting it out, you may need to pay income tax on the rental income. Your home may be pricier to insure too; second homes are often in tropical areas with greater risks of hurricanes or other natural disasters and may require higher insurance to protect your home against unruly or injured renters. Is buying a vacation home still at the top of your wish list? After you have carefully considered this major investment and decided to start saving, Invisor can help you plan for the big purchase and reach your goals faster. Josh Miszk is the Vice President of Investments at Invisor Investment Management Inc., one of Canada's leading online financial advisors that provides personalized investment management services. Josh's goal is to make it easier for young Canadians, like himself, to create a plan for their families and help them achieve their financial dreams sooner. Follow Invisor on Facebook, Twitter or LinkedIn for insights into financial markets, personal finance tips and other educational content.